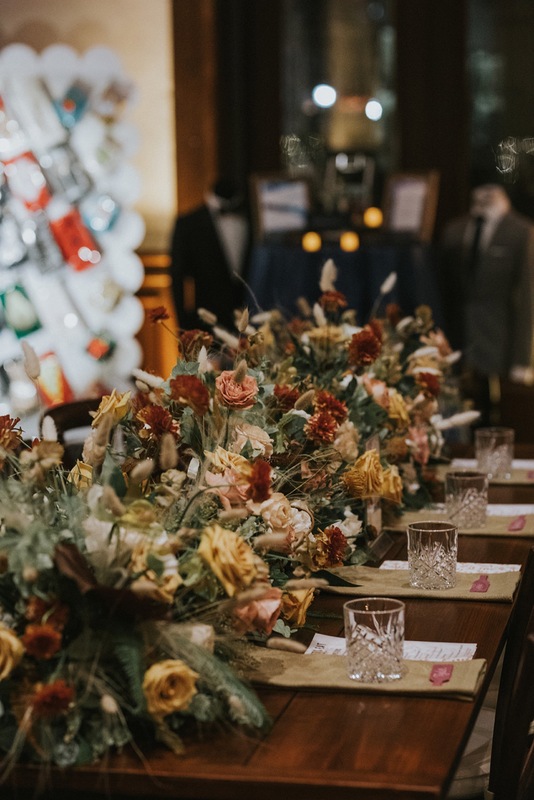 We finished out 2018 with a bang at the stunning Brooklyn Historical Society for The Big Fake Wedding NYC! This library turned venue had to be one of our favorite spots to date. Even our bride looked straight out of a storybook herself, dawning the most magical gown. The color palette was inspired by the couple’s favorite Napa vineyard and Kentucky distillery. Shades of Cabernet and Bourbon touching every corner made for the coziest of evenings. Drink it all in by seeing the event highlight below!